With the big summer tours and festivals in full swing, non-headlining bands often seek out venues to play on the off-days, hitting smaller venues and providing fans a chance to catch longer sets. 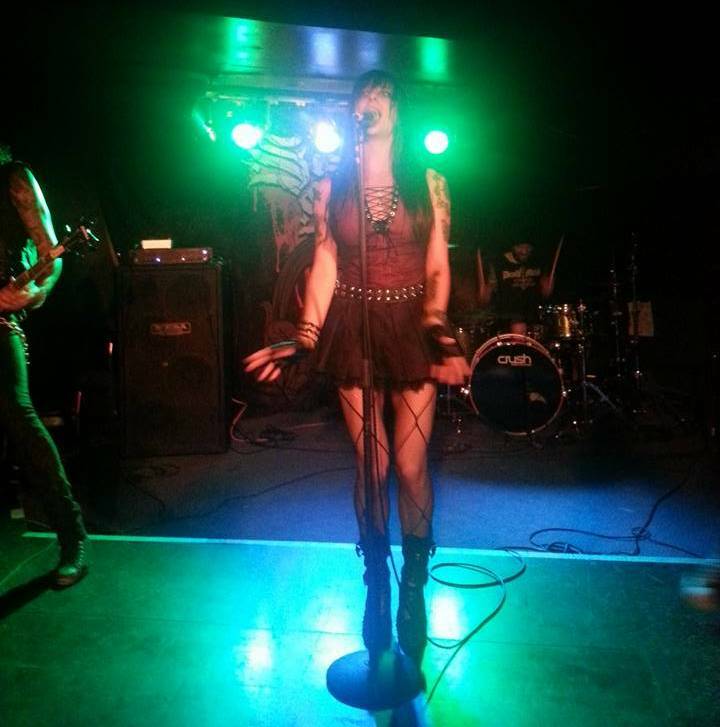 Victory Records label-mates Sister Sin and Shattered Sun are both currently touring on the Rockstar Energy Drink Mayhem Festival and doing some off-dates together, leading them to the small upstairs venue of The Chance known as The Loft. Locals Vision Serpent hit the stage first, which was apparently their first show – ever. They had a strong presence of supporters to catch them, which is always the first step in pushing forward. Their set consisted of some original material, which definitely had a bit of a groovy, Southern/Pantera-esque approach to it, and a notable cover of Pantera’s “Walk” as well as a Disturbed cover. Not bad for a first gig, as to be expected there was more emphasis on playing than stage presence but it will surely come with time and experience. We all start somewhere and this was a solid showing. What came as a bit of a shock following Vision Serpent’s set, was just how many people had come out to support them for their first endeavor (why they wouldn’t stay to catch the rest of the bands is anyone’s guess). They all seemed to vanish (outside of the band of course), which led to a rather noticeable opening within The Loft’s floor. But that didn’t stop Shattered Sun, who acknowledged the drop but kept it upbeat, adamant to win over the remaining crowd and have a good time. 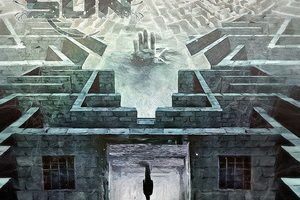 Shattered Sun feels heavier in the live setting than on their debut, Hope Within Hatred, and coupled with their perseverance, it now seems obvious how they were able to win over the crowds on the recent Dark Roots of Thrash II tour. They thrashed their way through the title track, “The Ultimatum,” “Dead Set,” and “Waging War,” among others. The highlight was them deciding to bust out their cover of Testament’s “Return to Serenity,” which they had not been playing live. 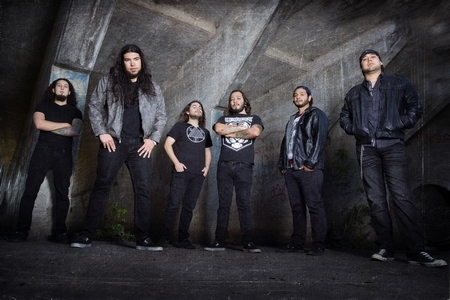 The band has been real workhorses as of late (with the upcoming Soulfly/Soilwork/Decapitated tour still to come) and it seems they are trying to make a real impression on the scene one gig at a time. Finally, Sister Sin took the stage with the roaring opener “Food for Worms.” The crowd around the stage had picked up again, with the portion of fans who had been mingling at the bar making their way to get a closer view. This made for a more diverse crowd, with a younger and older segment – showing off the timeless sound of the band. Again, Sister Sin didn’t seem to mind the small but enthusiastic crowd, providing plenty of on-stage energy for the audience to feed off of. Frontwoman Liv Jagrell has an enigmatic stage presence: intensely moving across the stage, headbanging, and belting her lungs out. The rest of the band followed suit in this regard, with guitarist Jimmy Hiltula firing off some ripping solos and bassist Andreas Strandh also getting some words in between songs and getting a rise out of the crowd. They played a hour-long set with highlights that went through some new material from Black Lotus (“Desert Queen,” “Sail North,” “Chaos Royale”) and plenty of old favorites (including “Fight Song,” “24-7,” “On Parole,” “End of the Line,” “One Out of Ten,” “Outrage”). All in all, an impressive set that was thoroughly engaging from start to finish. 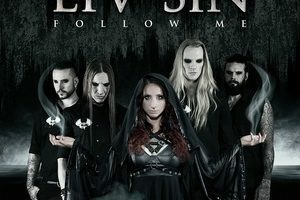 Standing out from the rest of the Mayhem Festival package, Sister Sin should have no trouble winning over new fans as they continue their trek across North America.